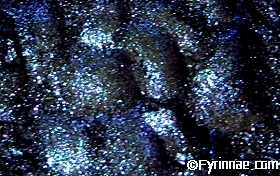 Glitterboi is a deep blend of blue and violet sparkle on a black base, and as the angle changes or light-distance decreases, changes to a gleaming grape, then to vibrant metallic pink. 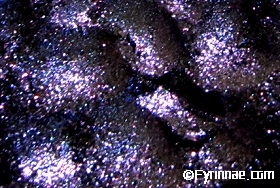 The images show colour variations due to different angles and lighting. The Arcane Magic shadows have highlights that change hue when moved closer to or away from a light source (lamps rather than sunlight). Angle does affect it, but you may not notice the change in a mirror as much as other people can from a short distance.